When will be Puppy Secrets: The First Six Months next episode air date? Is Puppy Secrets: The First Six Months renewed or cancelled? Where to countdown Puppy Secrets: The First Six Months air dates? 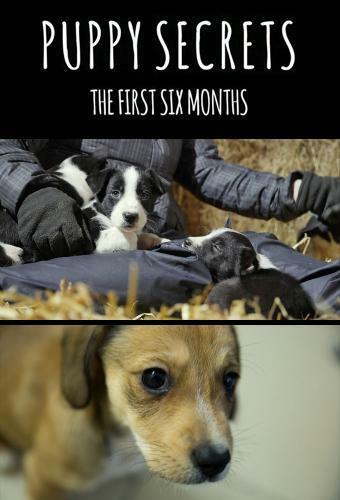 Is Puppy Secrets: The First Six Months worth watching? Puppies are one of nature's greatest wonders and in this brand new two-part series, Puppy Secrets, cameras will follow, in loving detail, four very special litters. From Britain's smallest breed, to one of the most popular, and from working sheepdogs to five rescue pups - breed unknown - cameras will capture their journeys all the way from birth to approaching the end of puppyhood. Viewers will have a privileged look at the rarely seen magic of the early days, through to the moment they move to new homes, and see how puppies form the strongest bond of their lives: not with their mums or their siblings, but with humans.Breeders and carers share their insights, and vet Mark Evans reveals some puppy secrets. It's an eight-week race against time where the pups must hit crucial milestones if they are to be ready to move on…and the clock starts ticking the moment they're born. In the first episode, viewers will witness the pups grow from new-borns to eight-week-olds, They will see their eyes opening, taking their first tumbles and see moment they began to explore their environment. All before finally leaving their mums and siblings and moving into their new homes. In this second episode, cameras follow the puppies from the first day of this new stage of their new lives to around six months, when early puppyhood comes to an end. The new owners share their insights, and vet Mark Evans reveals some of the secrets of their puppy journey, as the experiences of these next four months will define the pups for life. Puppy Secrets: The First Six Months next episode air date provides TVMaze for you. EpisoDate.com is your TV show guide to Countdown Puppy Secrets: The First Six Months Episode Air Dates and to stay in touch with Puppy Secrets: The First Six Months next episode Air Date and your others favorite TV Shows. Add the shows you like to a "Watchlist" and let the site take it from there.